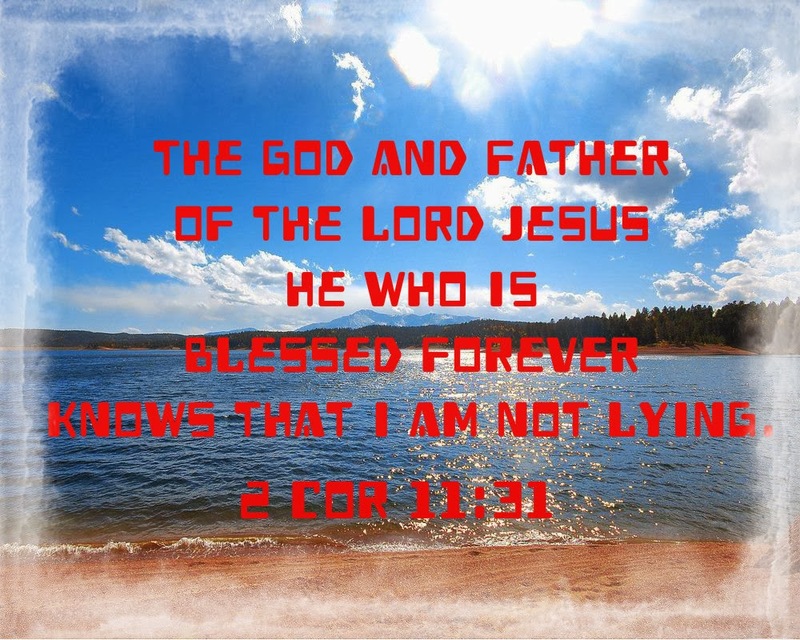 The God and Father of our Lord Jesus Christ, which is blessed FOREVERMORE, knows that I am not lying. These words of Paul are almost in the form of an oath, a solemn appeal to God, who can testify to the truth of what Paul is saying to the Corinthian church. 1. God is blessed. In the OT, Yahweh God is blessed all the time. We have seen this in the last 18 articles. 2. Yahweh God is the Father of our Lord Jesus Christ. Yahweh God is to continue from generations to generations. Blessing Yahweh God did not stop in the OT times. Paul continues to follow through on this important teaching in his generation. We too must learn to bless Yahweh God so that our children can learn to love God and praise the Name of Yahweh.